Prince Harry and Meghan Markle will marry at St George's Chapel, Windsor Castle, in May, Kensington Palace says. 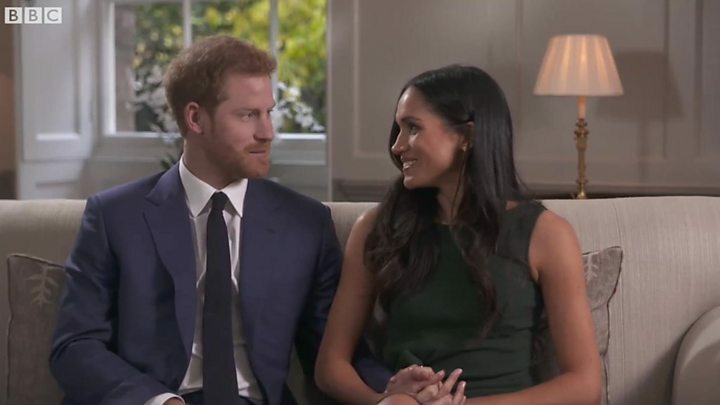 The Royal Family will pay for the wedding, including the service, music, flowers and reception - the date will be announced later. Jason Knauf said Prince Harry, 33, and Ms Markle were "leading the planning process for all aspects of the wedding" and were working through ideas on how members of the public could "feel part of the celebrations". Mr Knauf described Windsor as a "very special place" for the couple, saying they had spent time there together since meeting in July 2016. St George's Chapel was the venue for a service of prayer and dedication after Harry's father, the Prince of Wales, married the Duchess of Cornwall at the Windsor Guildhall in 2005. It was also chosen for the wedding of Harry's cousin, Peter Phillips, and Autumn Kelly in 2008, and the Earl and Countess of Wessex in 1999. BBC royal correspondent Daniela Relph said St George's Chapel held many happy childhood memories for Prince Harry, and while a more intimate venue than Westminster Abbey or St Paul's Cathedral, was grand enough for royal wedding. Media captionKate on Harry and Meghan: "William and I are absolutely thrilled"
Mr Knauf said it was "an incredibly happy day" for the couple and they were "overwhelmed by support from the UK and around the world". Their 16-month relationship began when they met on a blind date in London arranged by a mutual friend. The couple gave their first joint TV interview to the BBC's Mishal Husain on Monday - revealing the proposal came as they made roast chicken at home earlier this month. They also discussed Ms Markle's pet dogs and Mr Knauf revealed that while one of them, Guy, was legally allowed to stay with her in the UK, the other, Bogart, would not be joining her. Can you remarry in church after divorce? The prince and Ms Markle will carry out their first official engagement together in Nottingham on Friday. They will go on a walkabout and visit the Nottingham Contemporary which is hosting a Terrence Higgins Trust World Aids Day charity fair, and Nottingham Academy to meet head teachers. Their spokesman said Ms Markle would not be continuing her work on gender with the United Nations or with other organisations, and instead would start new charity work as a full-time royal. She is to become the fourth patron of the Royal Foundation of the Duke and Duchess of Cambridge and Prince Harry. 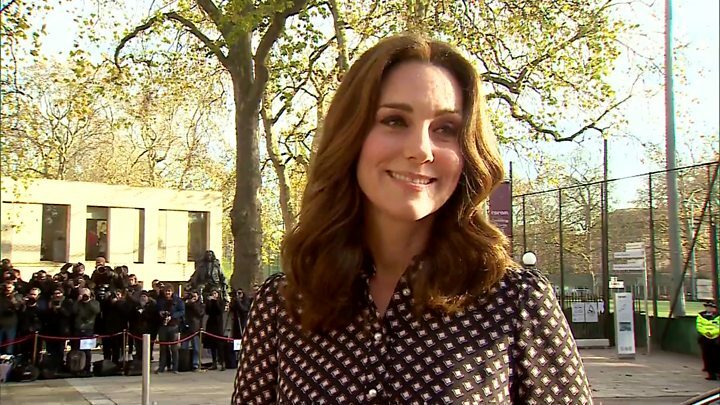 Speaking during a visit to the Foundling Museum in London on Tuesday, the Duchess of Cambridge said both she and Prince William hoped the couple "enjoy this happy moment". St George's Chapel is shrouded in darkness tonight, the 15th Century gothic building shielded by the walls of Windsor Castle. However, on a cold and dark night, there is a real atmosphere of warmth and light in Windsor with the knowledge this town will be the centre of the world in six months' time. A shop worker (whose tills will surely be ringing relentlessly in the build up to the big day) said the day would be like a "fairytale" for Windsor and the country as a whole. A woman called Elaine, who used to volunteer in the chapel for a number of years, said St George's offered a much more intimate experience for an occasion like this. "We just think of ourselves as really lucky," she said. "It's going to be an incredible atmosphere on the day." The couple announced plans for a spring wedding on Monday, but by choosing May, have avoided a potential clash with the birth of the Duchess of Cambridge's third child and the Queen's appearance at the Commonwealth Heads of Government Meeting in London and Windsor - both of which are in April. Downing Street has said there are no plans for a bank holiday to mark the wedding, after the possibility was mooted on social media. Ms Markle was previously married, but the Church of England agreed in 2002 that divorced people would be allowed to remarry in church. What? A 15th Century gothic chapel, set in the grounds of Windsor Castle. Size: Holds 800 guests - Westminster Abbey has a capacity of 2,000. Other royal occasions; Prince Harry's christening in 1984, religious blessing for the Prince of Wales and Duchess of Cornwall in 2005, and the wedding of the Earl of Wessex in 1999. Historic funerals: The Queen Mother and Princess Margaret in 2002, and King George VI - the Queen's father - in 1952. The chapel contains the tombs of 10 sovereigns.